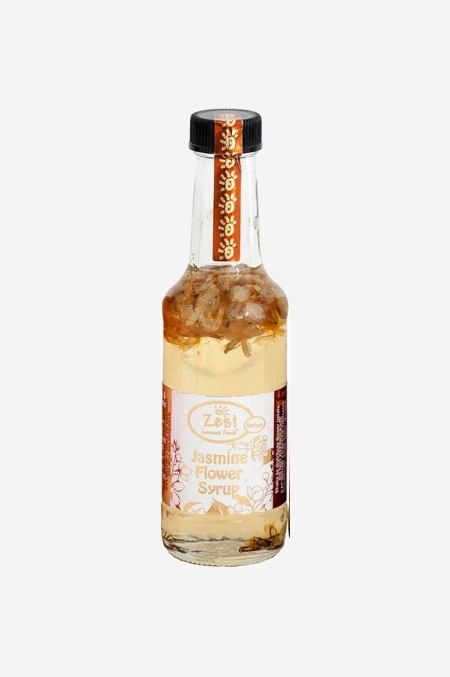 A thick pouring syrup, made with real Jasmine flowers, to give flavour & aroma. A thick pouring syrup, made with real Jasmine flowers, to give flavour & aroma. Add to Champagne, sparkling wine, sparkling water and dry white wine. Drizzle over cheese, cakes, meringues, fruit & ice cream.